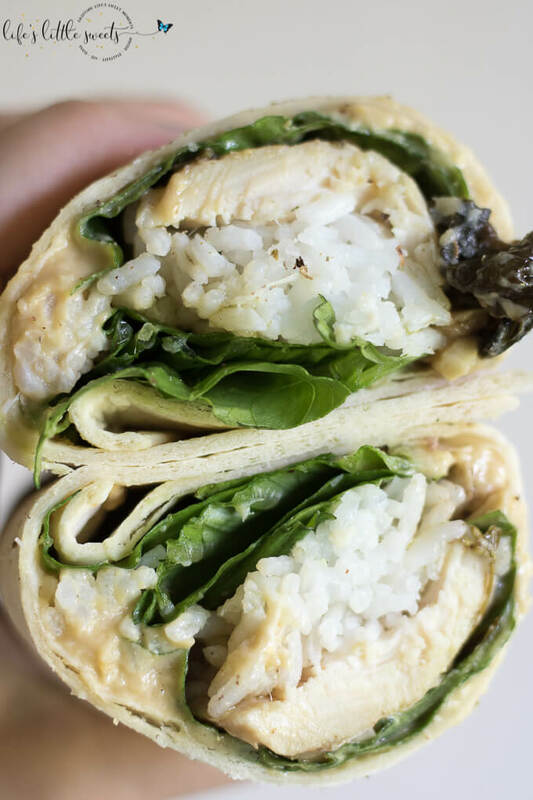 This Chicken Rice Hummus Wrap recipe is a perfect way to use up chicken leftovers and have a healthy, filling lunch at the same time. Lay a flour tortilla on your plate or cutting board. Spread desired amount of hummus on the tortilla surface. Add cooked rice, chicken, Romaine lettuce leaves and Kosher salt and pepper to taste. Roll the wrap together and slice in half. Enjoy!